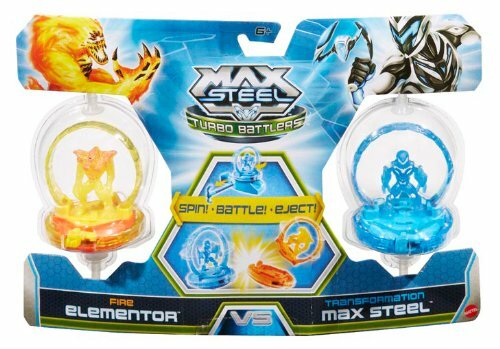 Incredible action figure Max Steel Turbo Battlers a great toy by Mattel! Among the key characteristics is the hit a turbo battlers figure? s sweet spot trigger to eject figure off its base. The Max Steel toy is 8.25" Height x 12" Length x 3" Width. Product Number 0746775260019. We would like you to get the best price when purchasing a toy, please check out the shopping cart add to cart button below. 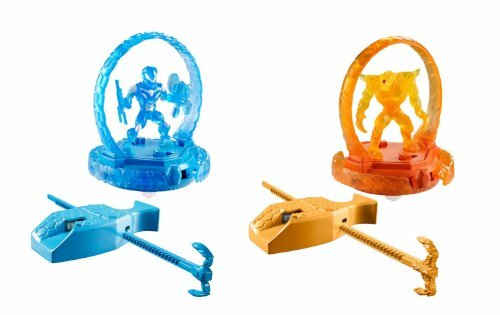 It's twice the excitement in this Turbo Battlers 2-pack! 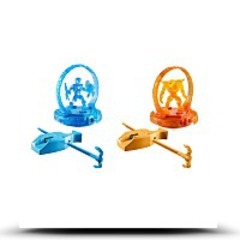 Turbo Battlers function unique mini action figures on a spinning base that launch into action with a ripcord, and battle it out to hit their opponent and eject them off their base to win! 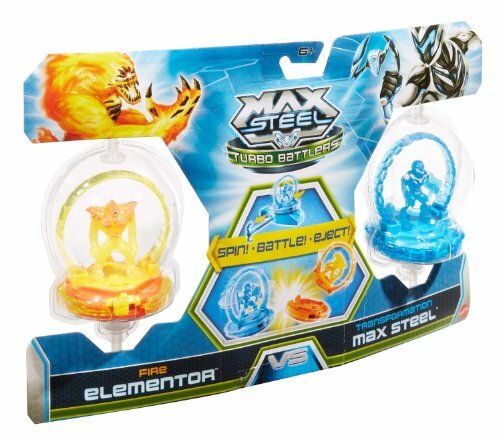 Max comes face to face with Fire Elementor in the ultimate showdown. Dimensions: Height: 8.25" Length: 12" Depth: 3"
Package Dim. : Height: 1.8" Length: 11" Depth: 5.8"